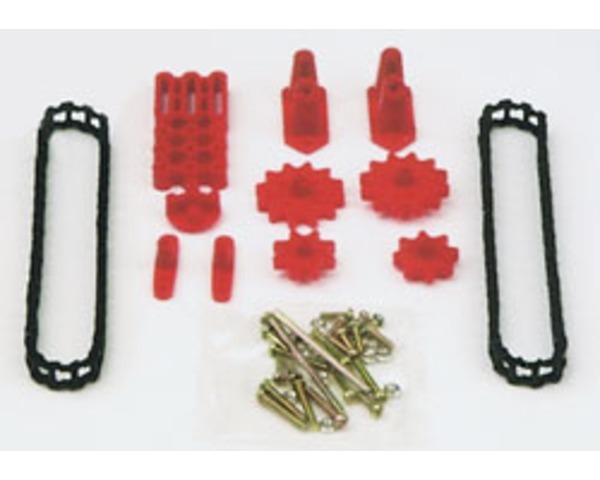 Black and red plastic parts are attached to sprue trees. Easy construction-all parts screw or press fit together. Includes all hardware needed to assemble the kit. Pictorial instruction sheet is included. One Ladder-Chain & Sprocket Assembly Set.